Jesus point in all of this is this. It’s what on the inside that causes the outward action to happen. Our faith, at its heart, is a matter of the heart. We are an inside out religion. What happens in the heart, what happens in our faith that will show itself in our actions. Here’s the thing, like I like to tell my church, if Jesus has your heart, He will have your actions. He just will. If He is Lord of your heart, He will become Lord of your actions. But you can “do” right, and not “be” right. And if you are not right, in time, you will stop acting right. Because our heart always determines our actions. For us, as Christians, it starts internally. And it shows itself externally. In this passage, He is saying that the people are honoring God with their words, but their hearts are far away. And in time, their words will move as well. Their words and their actions will follow their heart. So, the first, and the main question is this. Where is our heart? That question truly does determine everything else. That question answers all the other issues that we will face. We are an inside out religion. Never forget that. Never put the cart before the horse. 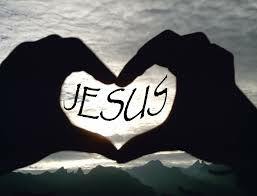 If Jesus is Lord of our heart, He will become Lord of every area of our life. Today, may that be so. Monday we’ll look at Mark 7:24-30.